Sharlyn Vareed has been practicing immigration law since 2014. She works with clients in a variety of industries, advising them on all aspects of business immigration law, including temporary work visas and applications for permanent residence. Prior to joining McCown & Evans, Sharlyn practiced immigration law with a boutique business immigration firm counseling corporations, individuals and start-ups on employment-based petitions, including H-1Bs, L-1s, TNs, O-1s, labor certifications, immigrant visa petitions and applications for adjustment of status. In addition, Sharlyn served as a Judicial Clerk for Trial Chamber II of the United Nations International Criminal Tribunal for the former Yugoslavia in Holland, where she provided legal assistance to the Trial Chamber in the case of Prosecutor v. Goran Hadzic. She also served as a Stevens Fellow in the Office of the Co-Prosecutors at the Extraordinary Chambers in the Courts of Cambodia, where she assisted in the prosecution of the most senior leaders of the Khmer Rouge. Sharlyn received her Bachelor of Arts degree in Political Science and Legal Studies from the University of California at Berkeley in 2006, and her Juris Doctorate from Santa Clara University School of Law in 2012. 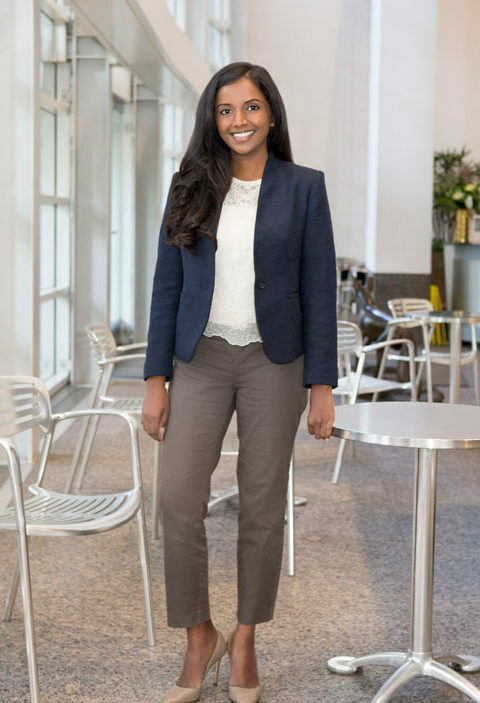 She is admitted to practice law in California, and is an active member of the South Asian Bar Association, the American Society of International Law, and the American Immigration Lawyers Association. She is fluent in Hindi.